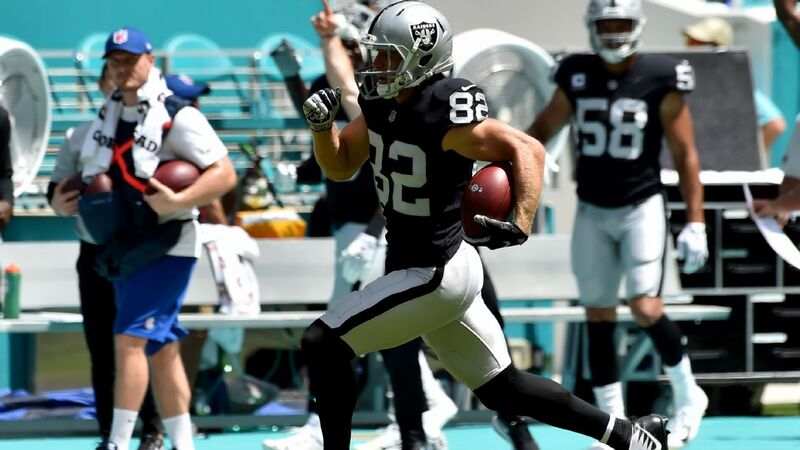 ALAMEDA, Calif. -- Despite giving Jordy Nelson a $3.6 million roster bonus in December and coach Jon Gruden saying the veteran receiver would return to the Oakland Raiders in 2019, the team released Nelson on Thursday, the team announced. The Raiders also created cap room by releasing quarterback AJ McCarron. Nelson, who turns 34 on May 31, caught 63 passes for 739 yards and 3 touchdowns over 15 games in a disjointed, injury-plagued lone season for Oakland. "Normally, when you hand out a bonus for next year's season, there's a pretty good chance those guys are coming back," Gruden said Dec. 28. "If you watched Jordy play carefully the last four weeks when he's been healthy, you see what he's capable of doing. I think as we continue to improve this football team around some of the core guys that are here, I think you can even see better and better days ahead. "So yeah, he'll be back." The additions of receiver Antonio Brown in a trade and Tyrell Williams in free agency seemingly made Nelson expendable. Williams signed a deal worth $47 million with $22 million guaranteed, a source told Schefter.The Raiders gave Brown a new three-year deal worth up to $54.125 million, with $30.125 million guaranteed, a source told Schefter. Nelson would have seen his base salary of $3 million for 2019 become fully guaranteed on Sunday, and he had a salary-cap number of more than $5.368 million. Nelson, who dealt with a knee issue last season, will cost Oakland $1.8 million in dead money. Nelson spent the first 10 years of his career with the Green Bay Packers. Late last season, Nelson said he was open to playing for the Raiders again in 2019. "It's not always the player's decision, but yeah, that's the plan," he said with a smile. "We've enjoyed our time out here so far, enjoyed being with the team and starting the rebuilding process and being a part of that, so yeah, I believe that's the plan." Receivers on the Raiders roster now are Brown, Williams, Seth Roberts, Marcell Ateman, Keon Hatcher, Saeed Blacknall and Rashard Davis. Roberts, long rumored to be a cut candidate, carries a cap number of $4.65 million with a base salary of $4.45 million for 2019 and no dead money concerns. McCarron, who came to the Raiders in a trade with the Buffalo Bills for a fifth-round draft pick on Sept. 1, appeared in mop-up duty in two games and completed 1 of 3 passes for 8 yards while taking a sack. His $1.9 million base salary would have been guaranteed on Sunday, though a $3 million roster bonus would have been guaranteed on Friday. By cutting McCarron, the Raiders saved $5 million in cap space. Nathan Peterman, who is due to make $645,000 in base salary in 2019, is the lone backup quarterback to Derek Carr. The move also would seem to put Oakland in the market for another quarterback, be it in free agency, where the likes of Blake Bortles and Colin Kaepernick reside, or the draft. The Raiders have eight picks, including four selections in the first 35, and while Gruden has been linked to both Oklahoma's Kyler Murray and Ohio State's Dwayne Haskins, he and his staff coached Missouri's Drew Lock, Duke's Daniel Jones, North Carolina State's Ryan Finley and Penn State's Trace McSorley in the Senior Bowl in January. 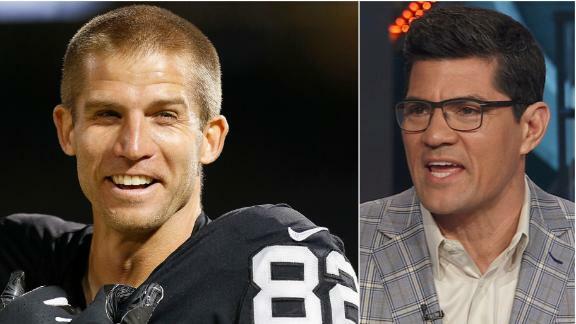 Tedy Bruschi and Louis Riddick react to WR Jordy Nelson being released after one season with Oakland.